Pheasants Forever recently applied and received a Conservation Partners Legacy (CPL) grant totaling $252,000. 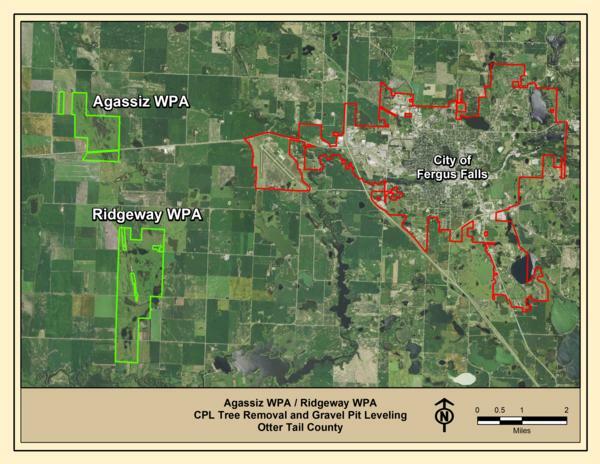 This will be used to remove wood vegetation on Ridgeway & Agassiz WPA's for 1,200 acres. Local Farm Bill Biologists have impacted 17,000 acres in West Otter Tail County over last 10 years. 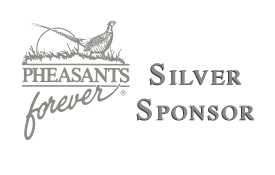 The Otter Tail Chapter reached the $5,000,000 milestone. 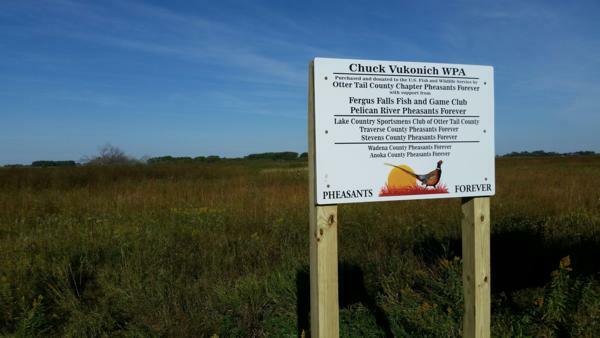 A pair of new Waterfowl Production Area projects that permanently conserve 530 acres of wildlife habitat were officially dedicated on September 12, 2015. The new areas honor Minnesota conservation legends Art Hawkins and Chuck Vukonich, respectively.